The PM891 processor is a monolithic unit equipped with power supply, CPU-boards and unit termination. The unit contains microprocessor and RAM memory, a real-time clock, LED indicators, INIT push button and a Secure Digital interface. The PM891 does not contain any internal battery The PM891 has two RJ45 Ethernet ports (CN1, CN2) for connection to the Control Network, and one RJ45 serial port (COM4). The COM4 port is isolated and used for a configuration tool. The PM891 supports CPU redundancy for higher availability (CPU, CEX-Bus, communication interfaces and S800 I/O). The communication expansion bus (CEX-Bus) is mounted on the unit. The CEX-Bus is used for extending the on-board communication ports with communication interface units. It is possible to use redundant communication interfaces on the CEX-Bus. The CEX-Bus Interconnection unit BC810 is used to increase the availability on the CEX-Bus by dividing it into separate segments. 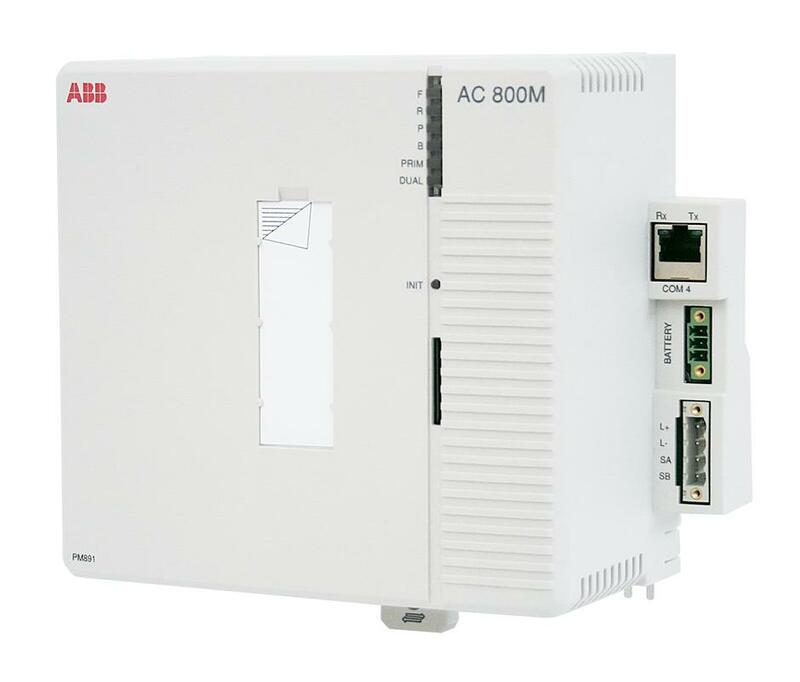 The optical Modulebus of the unit can be used for connecting seven clusters of S800 I/O units (each comprising up to 12 units). Each PM891 is provided with a unique Ethernet address which provides hardware identity to the unit.